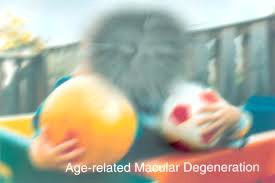 Age-related macular degeneration is a leading cause of vision loss and ‘blindness’ in the world today and is referred to as ’AMD’ or ‘ARMD’. It is a continuously growing problem affecting people over aged 65. 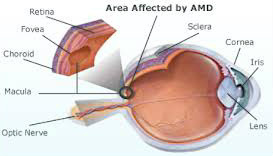 AMD is the deterioration of the macula situated in the centre of the retina providing visual and color acuity enabling one to read, write or drive. This is the early phase and is more widespread occurring in about 90% of affected patients. It is characterized by yellowish spots called drusen, which are deposits of lipoproteins depositing in and around the macula area. 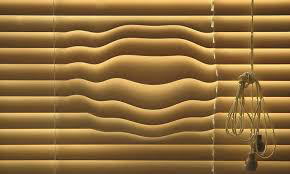 the onset, patients may experience either dim spots in central vision or see images that are unusually hazy or warped. A retinal exam to measure central vision can help detect early signs of macular degeneration. When distortion or blurriness is detected by an Optometrist, the professional will then refer to a medical ophthalmologist for a fluorescein angiography procedure. This is carried out to investigate the retinal blood vessels near the macula. Aside from age, AMD can be caused by other suspected factors that are currently being studied such as over-exposure to sun light and high levels of fat in the diet. Persons greater than 60 years of age are at a greater risk of AMD. The risk of AMD is higher in inactive and obese people as opposed to those with ideal weight who engage in regular vigorous activities. Heredity factor that involves some variant genes types have been found by recent studies to be a factor in AMD development and in its severity. High blood pressure and other cardiovascular conditions may influence AMD development. Drugs cause side effects and some of them are found to possibly cause MD. Some studies state that white people with lighter skin and eye colour are suspected to be at higher risk of developing AMD while those with darker eyes are protected from the sun because of extra pigmentation. AMD has no absolute cure only treatments to prevent it from worsening and may depend on its stage especially the wet form. Abnormal blood vessel growth may be prevented by FDA-approved medication like Lucentis, Eylea, Macugen and Visudyne along with Photodynamic Therapy (PDT). Dry AMD form, meanwhile, may benefit from nutritional supplementation so that it does not progress into the wet form. Treatments for macular degeneration are continuously been improved by research laboratories. Low vision devices can aid in the mobility and functions of those whose vision was lost due to the eye condition. Eye care professionals believe that some nutrients and their nutritional benefits can help reduce AMD risks, its development and progression. This was supported by 2001 and 2005 research studies of the National Eye Institute through Age-Related Eye Disease Study (AREDS).